For a visual reminder of why soil matters so much to the health and vigor of plants, see the two photos below. These are identical sunflower plants. I planted them on the same day late in the spring. The plants are located less than 20 feet apart in identical full-sun exposure. Why are some of the sunflowers only waist-high, while others are over my head? One word: Soil. These sunflowers got the poor soil and they are struggling. 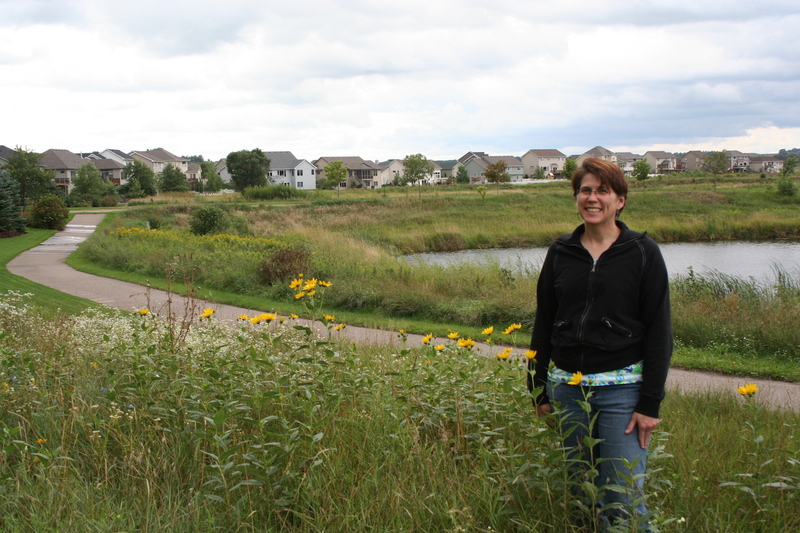 The short sunflowers are planted in the little meadow between our yard and the path around the city storm-water drainage ponds. I’ve never improved that soil — it’s just what the city and the builder left behind after building our house. It is, as soil scientists might say, lean. What a difference good soil makes! These guys are twice the size of their neighbors. 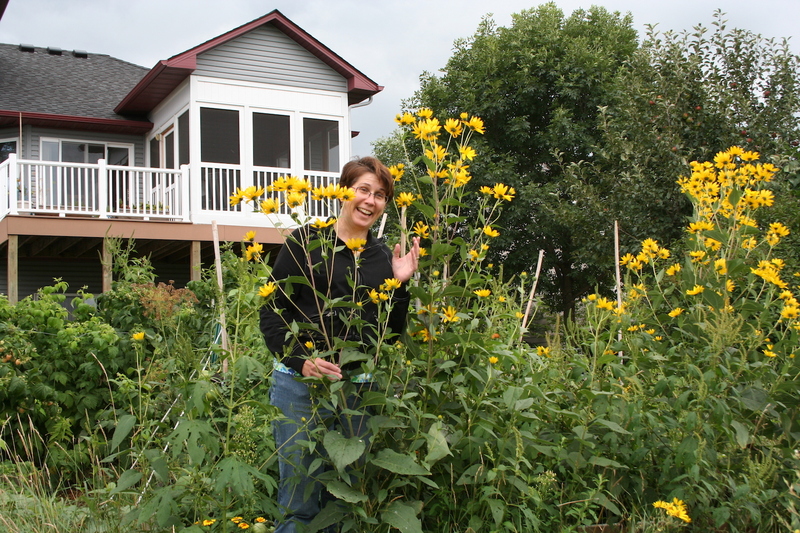 The tall sunflowers were planted on the edge of my vegetable garden. A few years ago, a load of landscaper’s black dirt was dumped there for use in another garden. I didn’t need all the dirt I ordered, so I left it there. This spring, I installed a lasagna garden for planting tomatoes, a rich mix of dirt and compost. The soil near that bed is very close to garden perfection: well-drained, humus-filled soil. Not every plant thrives in rich soil — nasturtiums, sedum, and many herbs prefer a slightly lean soil — however, if you’re plants aren’t as tall or robust as you would like, consider giving your dirt a boost.